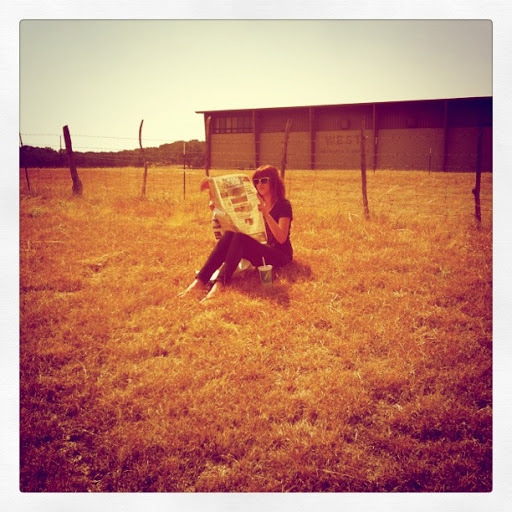 Here I am reading my paper while we were stuck on the side of the road. Well, we made it. Quite the trek I will say. I had a lot of thoughts going through my mind on that drive. Several serious ideas and meaningful revelations that came to me as I drove into rolling prairies and mystic deserts. A few funny observations that I picked up on as well...like the fact that women in rural gas stations wear too much eyeliner. Reflection was my primary companion as I drove hours alone. Thinking that I never in my life imagined myself moving from southern California to Texas. Mostly because I never pictured myself living in California, nor ever returning to Texas aside from Christmas time visits. Funny how life plays out sometimes. Few things compare with the experience of home. The truth of belonging to a place. I'm writing this from the room I grew up in. While we are looking for a house, we are staying with my parents. I'm in my old bedroom. This is where I was brought home from the hospital. I remember being small enough to do cartwheels from corner to corner of this bedroom. I decided to give my heart to Jesus here. Laughed. Played with many friends. Doesn't seem that long ago that I packed this room up when we moved to Russia...or when I returned two years later and unpacked a different life from my bags. I cried in the confines of these four walls when I felt rejected from the cool girls in 8th grade...Fast forward long phone calls with friends, writing at my desk journals of thoughts and dreams...Getting ready for college. I slept on this very bed the night before my wedding thinking about where the little girl who used to live here went. This space, small and humble, is mine. From newborn to mother of two I continue to return. Each time I bring a new set of dreams and increase the breadth of memories. Home. Belonging. I know that I am unaware of the plans God has for me here. I have inklings. I have hopes. When I sit in this room ten years from now I will have so many more memories to deposit here. What will they be? It is so very unknown, but God is Good. Faithful. Generous. I am home again...and there is no place like it.